Merck is teaming up with the Medicines Patent Pool (MPP) to license its paediatric HIV treatment in developing countries. The MPP is a United Nations-backed non-profit organisation that aims to improve access to HIV treatments by licensing them from the patent holders and then sub-licensing them to generic manufacturers. The drugs can then be sold at lower prices in developing countries while the original manufacturers can still gain royalties. It has previously worked with companies such as AbbVie, Gilead and Roche. Merck is providing the MPP with a royalty-free license for the development of pediatric formulations of its Isentress (raltegravir). The MPP has previously said there is a ‘significant need’ to simplify treatment for children living with HIV. Greg Perry, executive director of the MPP, says: “MPP is pleased to have Merck on board as a new private sector partner working with us on pediatric programmes. 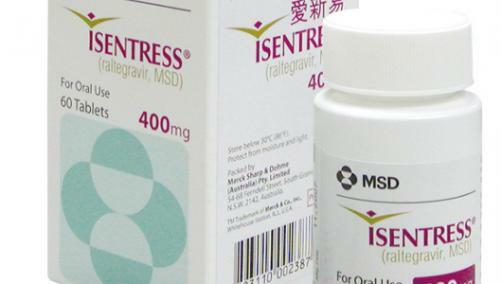 Isentress is the only integrase inhibitor approved for use in infants and children as young as four weeks old in the US and EU. Under the MPP license it will be used in 92 low- and middle-income countries with significantly high rates of pediatric HIV. “This agreement with the MPP has been established to provide access to raltegravir to HIV-infected children in developing countries where the burden of HIV infection is highest, including sub-Saharan Africa,” adds Jackie Neilson, general manager and global commercial leader for Merck’s HIV franchise. The deal will see the drug being sold at a significant discount to its price in other countries. In the US, Isentress costs around $1,350 a month. It is estimated that there are 3.2 million children infected with HIV worldwide, but less than a quarter of these are estimated to be receiving antiretroviral drugs.